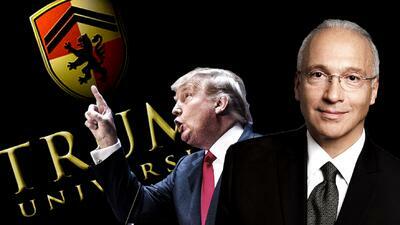 Who is Gonzalo Curiel, the “Mexican” judge hearing the lawsuits against Trump University? The controversy unleashed by U.S. District Court Judge Gonzalo Curiel when he ordered Trump University to make public internal documents as part of a civil fraud lawsuit is not the first the judge has faced. Curiel, who was born in East Chicago, Indiana, of Mexican parents, spent more than six years fighting drug cartels as head of the U.S. Drug Enforcement Administration (DEA) in southern California. The judge declined Univision's requests for an interview, saying he did not want to affect the Trump University case. Court officials in San Diego are under orders not to speak to the news media about Curiel and specially not about the case. During his confirmation hearing before the U.S. Senate in 2012, Curiel thanked President Barack Obama for giving him and his family the “honor” of being named to the federal bench. “My parents came here from Mexico with a dream of providing their children opportunities and they have been able to do that with the opportunities that this country has to offer,” he told the Senate hearing. Friends of Curiel also are careful when speaking about his family, which includes wife Trisha, daughter Natalia, as well as his brother and sister. Curiel's parents immigrated from Mexico with barely a high school education, according to the records from his Senate hearing. “Curiel always wanted to hit the cartels, and he was the one who opened the doors to doing that with cooperation from the Mexican authorities,” said Gregory Vega, who was a federal prosecutor in San Diego from 1999 to 2001. Vega, whose parents are also Mexican, said he and Curiel share not only many years at the DEA and several rounds of negotiations in Spanish with their counterparts in Mexico, but also the same birthday in the same hospital. “I was personally with him in Mexico City meeting with Mexican prosecutor Jorge Madrazo. There were several secret meeting between agents of the two countries, and training sessions," said Vega. "That was the start of the big operations against the Arellano Felix” brothers, Vega added, referring to the siblings who controlled the once-powerful Tijuana cartel. The cartel smuggled tons of cocaine into the United States in the 1990s from Tijuana in Baja California. A 1976 graduate of Indiana University, Curiel spent 10 years as a private lawyer, representing mostly state employees and municipalities. In his 17 years as a federal judge, Curiel “handled many high profile drug trafficking cases, and that brought him a number of death threats,” Amalia Meza, now a judge for the Superior Court of San Diego County, told Univision. A Tijuana drug cartel lord facing extradition to the United States plotted to assassinate Curiel in 1997, according to U.S. court documents filed in the case. Meza recalled that she and Curiel often talked about their experiences with juvenile courts. “The impact of drug trafficking on young people who do not have positive role models to follow was a recurring theme in the conversations,” she said. Those experiences motivated him in 2003 to implement a Legal Enrichment and Decision-Making (LEAD) Program in San Diego that had been operating in Los Angeles since 1993, and involved using Hispanic judges and lawyers to teach 5 th graders about the consequences of juvenile delinquency, Meza added. “Trump is appealing to his base with a racist comment about the judge's nationality. That is very effective but in reality it is a childish reaction by a person who is losing a court case,” said Sergio Feria, a lawyer who has known Curiel for nearly 30 years. “Curiel is an even-handed and impartial judge who rules based on the evidence,” Feria added. Feria was one of the sponsors of a ceremony honoring Curiel last week by the San Diego La Raza Lawyers Association (SDLRLA), a group of Hispanic lawyers. Feria said SDLRLA honorees are not selected based on their ethnic background, and that many of the judges honored have not been of Hispanic descent. “In this case, Curiel has been a model for the Latin community, and that cannot be ignored,” he said. Curiel may see Trump in person during a court hearing set for Nov. 28, according to the candidate's attorney, Daniel Petrocelli. That would be just two weeks after the elections for the next president of the United States.